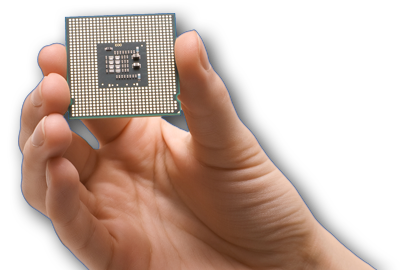 COM is short for Component Object Model, which is a technology that allows software components to communicate. COM is a great technology because you can interact with any component that exposes a COM interface that you might not be able to script otherwise. The drawback of COM (in a scripting sense) is that it is late binding. Late binding means that methods and properties of the COM interface are determined at run-time and not at compile-time. This effectively means that working with COM interfaces from scripts is a time-consuming trial-and-error process. Another drawback of late binding is that you have to find documentation from the vendor of the COM interface and convert that into the syntax of your scripting language. If you have used VBScript, you are probably familiar with common COM interfaces like WScript.Network and Scripting.FileSystemObject. These are interfaces that sit on top of the Windows API. When using FastTrack, however, these types of COM interface become superfluous, as FastTrack uses the Windows API directly, voiding the need for late binding. It immediately becomes clear why the native FastTrack version is preferred: When you write the script line in the script editor, it is validated that ConnectShare is, in fact, a valid command and that its parameters are also valid. The other two versions require you to know that the way to connect a network share is to instantiate an object from the WScript.Network COM interface. You also have to know that this interface has a method called "MapNetworkDrive" and which parameters this method can take. The only way to validate that everything is syntactically and semantically correct, is to execute the script and see if it fails. The example above was very simple; when working with more complex COM integration from scripts in any scripting language, script construction becomes chaotic and often impossible to make robust. For this reason COM was introduced as late as version 6.2 in FastTrack, because COM interfaces must be used as a last resort. As a general rule, do not use COM if you can avoid it. The use of COM interfaces is an "expensive" way for an administrator to facilitate the Windows API. You will probably never actually need to work with COM interfaces, as FastTrack has native functionality to replace COM interfaces that reflect the API of the operating system. If [ObjectValue CreateObject(Excel.Application).Version]<>14.0 Then ShowMessage You do not have Office 2010, contact HelpDesk. The above script is directly available in the script editor: Go to the "Documentation" tab and select "COM Automation" under the "Insert Example Script" submenu. As you may have noticed in the previous sections, working with the items under the editor's "COM Automation" uses a very different syntax than all other items. This is because when you are using the COM Automation items, you are effectively programming without the benefits of compiling code, which is a good reason to stay away from COM when possible. To provide the highest readability possible in your scripts, the COM Automation items work with a property, method and parameter syntax known from Object-Oriented Programming Languages: Methods and properties are used by using a dot notation on an object, while method parameters are insides parentheses. It's important to understand that any property or method is also an object in itself - which is all explained in more detail in the "Inline Initializers" section further down. CreateObject function: Any COM operation must start with CreateObject, used to create a COM object or to connect to a running COM interface. SetObject command: Sets an internal object for all other COM commands and functions. This is used to break COM operations into multiple script lines. Exec command: Executes a method on a COM object. SetValue command: Sets a property value on a COM object. ObjectValue function: Gets a property value or the return value of a method from a COM object. ObjectExists conditions: Determines if a COM interface for CreateObject exists or not. You might be surprised that you only need these few items for any type of COM operation. This is because most of the COM complexities are resolved by the engine in order to simplify your scripting as much as possible when dealing with COM operations. For example, to get a value, you do not need to know when an object is a method or property. When you use the ObjectValue function to get the value of a property or the result of a method, it will automatically be determined for you at run-time, if the object is, in fact, a property or method. This is why there is only one "ObjectValue" function and not two "ObjectProperty" and "ObjectMethod" functions. Likewise, there is no distinction between CreateObject and GetObject, known from other scripting languages (see next section for details). If you are familiar with VBScript or KiXtart, you will know that any COM operation will have to start with a CreateObject or GetObject command. CreateObject creates a COM object and GetObject connects to a running COM component. Sometimes it can be confusing to know when to use which, which is why FastTrack automatically resolves which to use at run-time. Therefore there is no GetObject function, as the CreateObject function will automatically detect the correct method of use behind the scenes. CreateObject will simply do both. 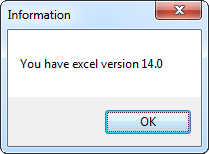 You might have expected to use it a SetObject MyExcel=[CreateObject Excel.Application]. The reason for this syntactical difference is because of the general object dot notation on COM objects. Let's look at CreateObject in another context: SetObject can be used with just the CreateObject function, as above, but anywhere CreateObject is used, any sub-object or sub-property can be retrieved instead, simply by dotting your way to the desired object. Below, an object is retrieved to a system folder object of the executing engine's parent folder. 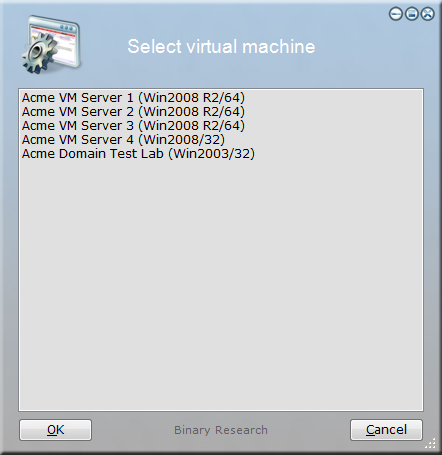 The second line displays the "Name" property of this object, which is the name of the parent folder. For simplicity, we will display results with the ShowMessage command in the examples from here on. Some methods can return a collection of objects. To loop through an object collection, use the ForEachObject looping construct. In the example below CreateObject connects to the WMI interface on the local computer and performs a WMI query to retrieve the Name property of each disk object from the Win32_LogicalDisk disk WMI collection. All COM related commands, functions and the ForEachObject loop can use the CreateObject function. Any object set with SetObject can be used instead of CreateObject as the first parameter, if preferred. The result of any COM operation can be used as an object, meaning that the looping construct above could also be written as shown below, with the same result. It's important to understand that every time CreateObject is used, a new instance of the object is created. Usually COM operations are relatively simple and do just one thing, in which case there is no need to use SetObject first. However, in our earlier Excel spreadsheet example, there had to be a single SetObject which was to be used in all other operations. If CreateObject was used in every script line, a new Excel spreadsheet would have been created every time, and the script would not work. 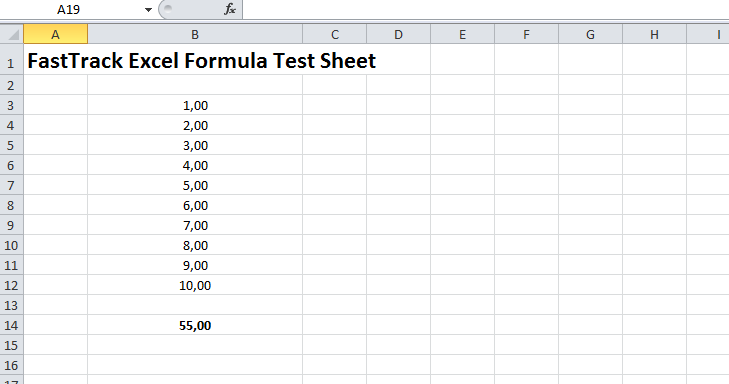 FastTrack will automatically convert parameters and values. In almost any case, the conversion is correct, which saves you the trouble of explicitly specifying types any time you use a value or parameter. However, in a special case, you could be forced to explicitly overrule the conversion and this can be done by "type casting" a value or parameter to String, Int, Boolean, Decimal, Double, DateTime, Byte or Char. If we look at the example lines above, the last two lines will be correctly converted to integer and boolean respectively. The first line, however, would have been converted to a Decimal value, but since we mean a cell-formatting string, we need to type cast it to a string, which is why the value is prefixed with the (string) type cast. This example will query the COM interface of Microsoft Excel for information like installed version, installation path and language. The information can then be used in a logon script for example to determine, if an upgrade is needed. This example is also available in the script editor: Go to the "Documentation" tab and select "Get Office Install Info" under the "Insert Example Script" submenu. This example is also available in the script editor: Go to the "Documentation" tab and select "Hyper-V State Controller" under the "Insert Example Script" submenu. This example is an extract from the Interacting with SQL Server page, where ADO is used to retrieve data from SQL Server. In the example, data is read from a logon audit table with three columns: LogonID, UserName and LogonTime. The example loops through the returned records from the SQL statement using COM. For more information, please refer to the full article on the Interacting with SQL Server page.